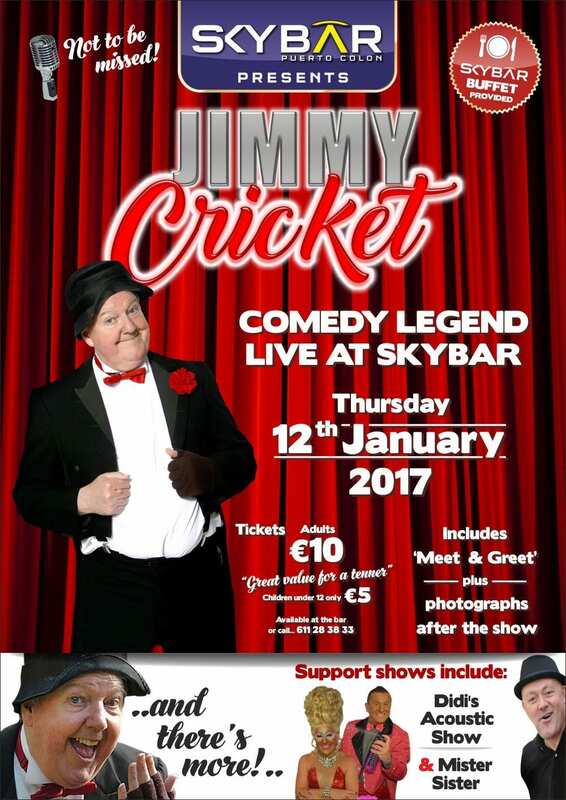 Jimmy Cricket recently caught up with a fan almost three decades after they first met. 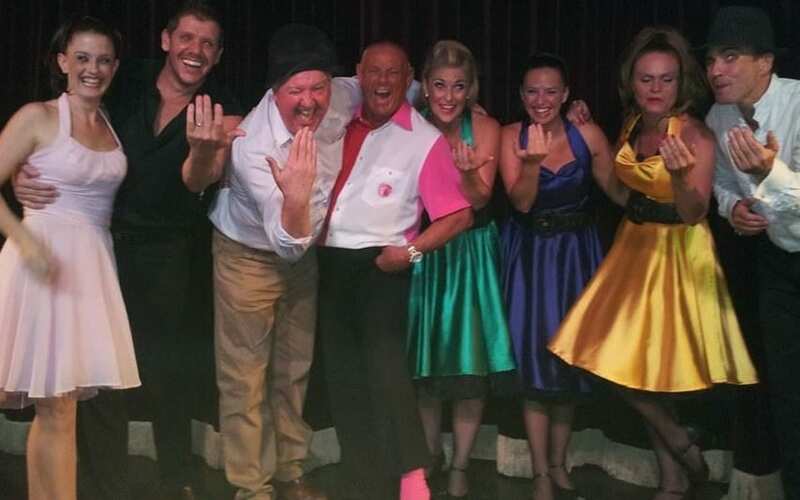 When the famous entertainer was performing at the Viking Club in Corby, Northamptonshire, in the audience was Lisa Roberts and her husband Elio. 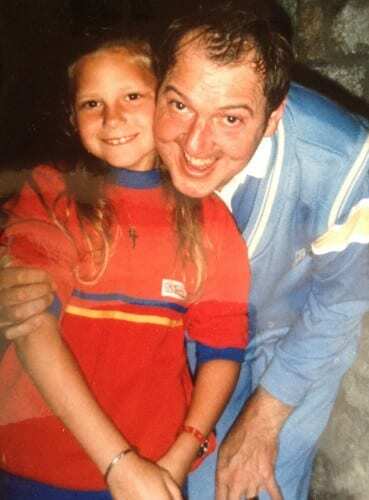 When she was six years old, her family had a holiday in the Devon resort of Torquay, during which her parents bought tickets to see Jimmy in his summer show at the Princess Theatre. Unfortunately Lisa was ill at the time and so the family could not go and see Jimmy in action. But as Lisa was a big fan, a couple of days later the family ventured down to the theatre’s stage door to see if they could catch a glimpse of Jimmy after the show. As Jimmy was leaving the theatre, he spotted them and went over to say hello. Jimmy gave Lisa an autograph and they had their picture taken together (left). 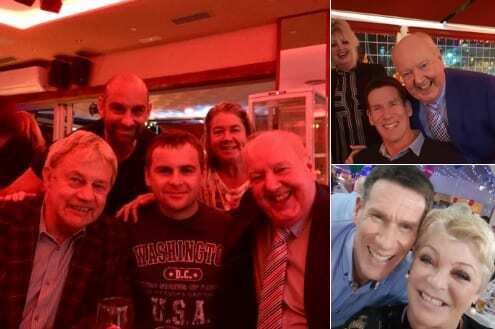 And, nearly 30 years later, they had their reunion in Corby – and, of course, another photograph (above right)! Lisa has been a nanny for 18 years and a maternity nurse for 10. Six years ago, when she was based in Tenerife, she set up her own business called Tenerife Childcare. She moved back to the UK seven months ago and now runs the business from her home in Northamptonshire. She has 10 qualified nannies from Britain working in Tenerife for her. 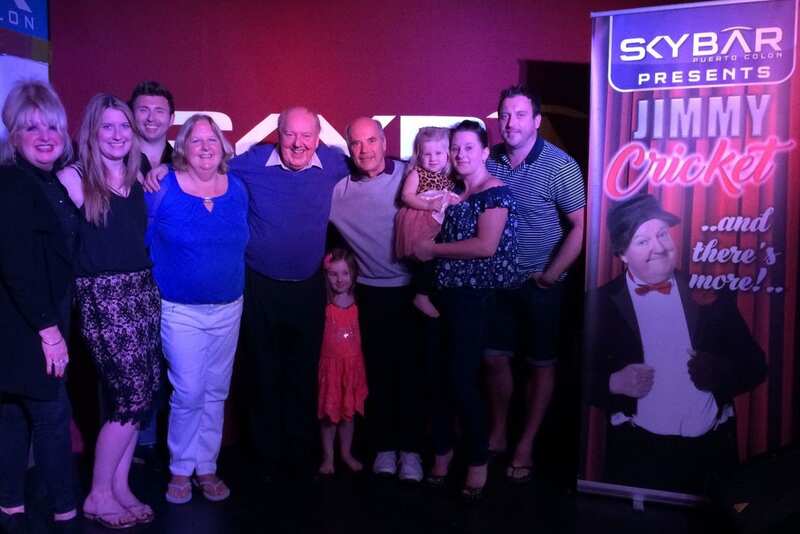 Famous entertainer Jimmy Cricket met the Showtime team and caught up with some old neighbours when he performed recently on the Spanish island of Tenerife. 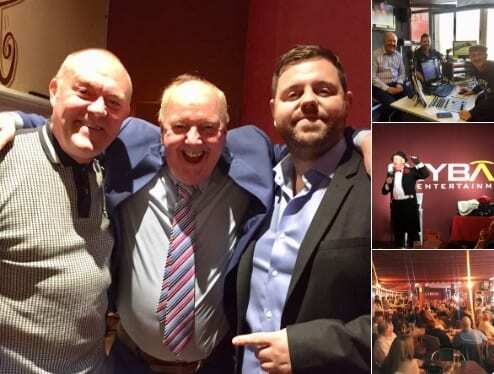 The Belfast-born and Rochdale-based comedian appeared at the Karting Las Americas club and then did a warm-up act a few days later for the Showtime Tenerife team. Chris Elkington, who was the promoter of Jimmy’s first show, is also the Showtime producer. Jimmy said: “Chris is quite the entrepreneur on the island as he also runs an English radio station called Oasis FM and produces an English-speaking newspaper called Canarian Weekly. He added: “This was a great visit to the island for me, as, apart from the warm climate, I was well received when I appeared at the Showtime venue with the audience giving me a standing ovation! 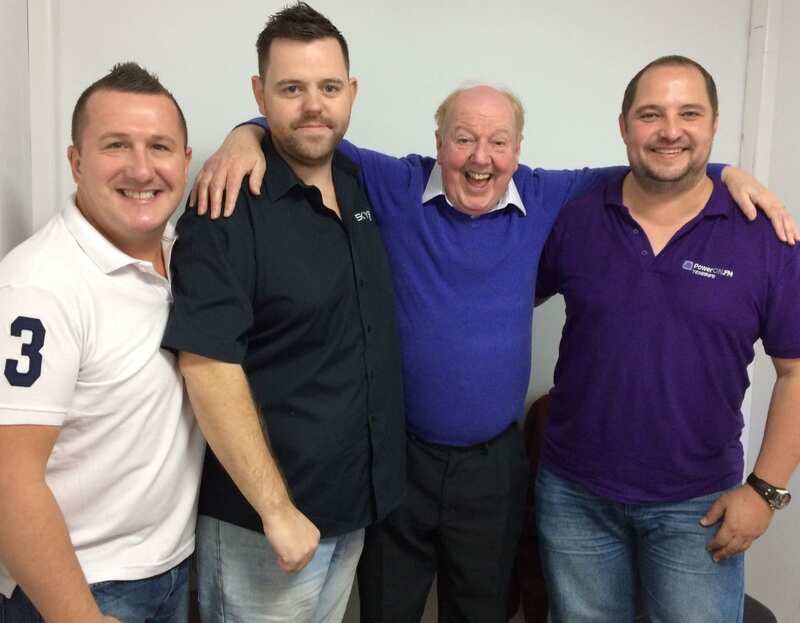 “Thanks to the comedian Steve Salter for performing a great warm-up spot for me. [Steve also provided the photo above of Jimmy with the Showtime team]. 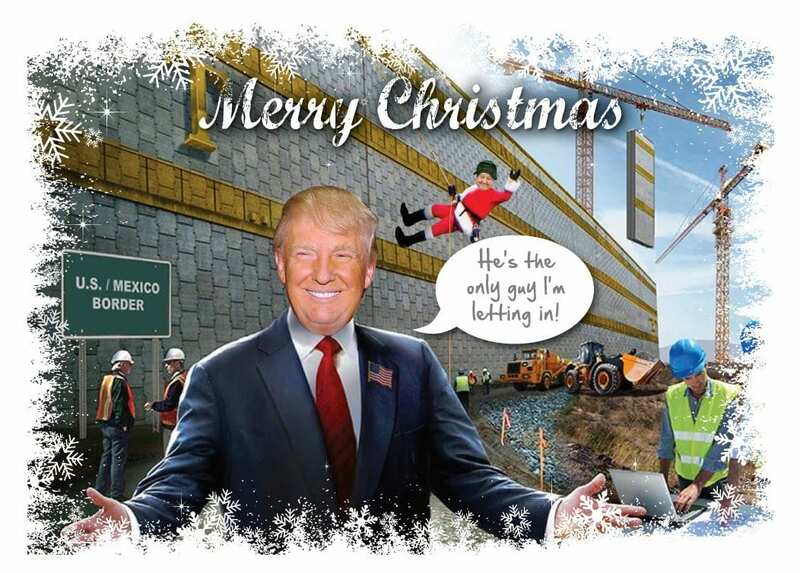 “I was also thrilled to be able to catch up with some old neighbours of mine from Rochdale who were holidaying in Tenerife at the same time, and I invited Diane and David Ireland and their family to have some tea with me.